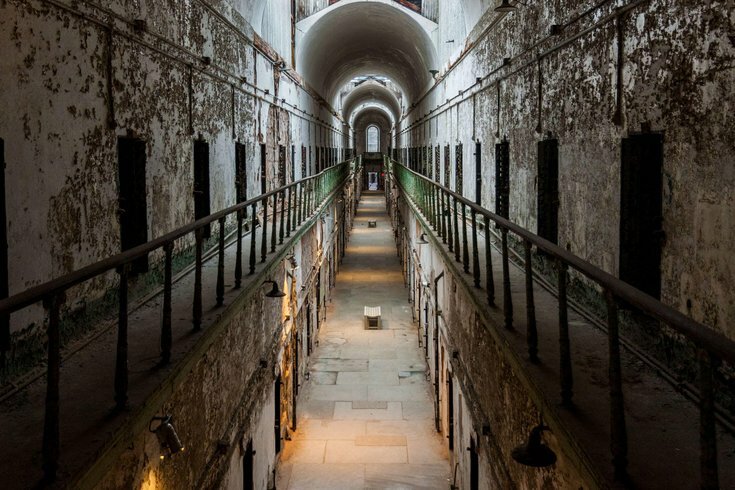 Thousands of people enter Eastern State Penitentiary in Philadelphia every October, waiting in lengthy lines in hope — or fear — that whatever happens inside the old prison will leave them quivering in fright. Other people outright avoid the prison's spooky Terror Behind the Walls experience and similar haunted houses that pop at Halloween each year. Why does the same experience thrill some people, but freak out others out? A person's response to fear depends on a combination of genetics and life experience, according to John Dani, a neurological sciences professor at the University of Pennsylvania's Perelman School of Medicine. "You're going to have a distribution of how people will respond to fear," Dani said. "Some are going to be extremely untroubled by it. Some are going to be more vulnerable to it genetically. In addition to that, it's what their experiences have been." When a person perceives a potentially fearful situation, portions of the brain that govern emotional and rational responses communicate to dictate a final response. Some of the emotional elements can be based on previous experiences — particularly during childhood — that leave lasting fears. Yet, a person who repeatedly has gone through the same haunted house, will be less fearful of it than someone who never has experienced it, Dani said. The same idea applies to other experiences that many people deem scary — fears like heights, tight spaces or darkness. Still, Halloween – particularly haunted houses and scary movies – embeds a level of unpredictability that other common fears do not contain. "You see this in horror movies all the time," Dani said. "The music builds, the music builds and then – all of sudden – something really scary happens. You're being primed, but you don't know when it's going to happen." Most people can overcome their fears if they are willing to expose themselves to them repeatedly. (Others, including people suffering from post-traumatic stress disorder or deeply held phobias, may need additional therapy.) Consider people who fear walking on open staircases, Dani said. "If you do that a lot, normally you extinguish that (fear)," Dani said. "You'll get used to it. You'll learn little tricks, like don't stare down while you're walking." The same is true for haunted houses. "They learn through experience after experience after experience that this haunted house isn't scary," he said.